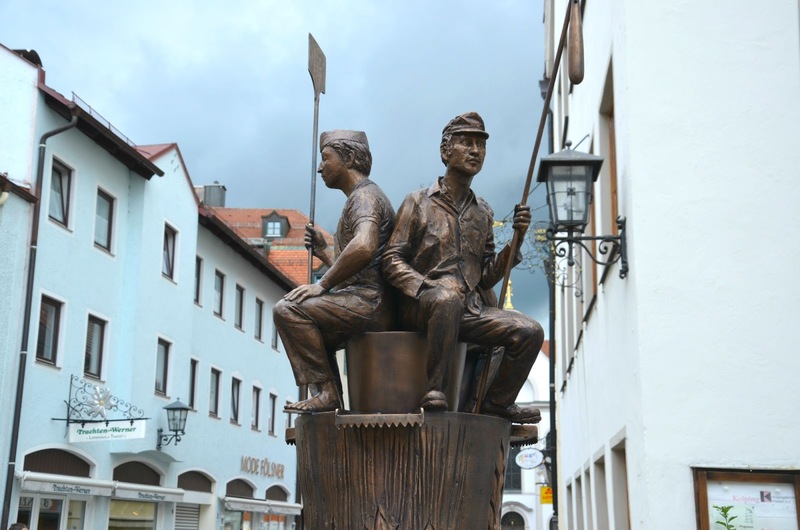 Late last summer, D and I took a little trip down to Liechtenstein...well...just to say we'd been to Liechtenstein. When in Europe, right? ;) After sight-seeing there, we drove along the Alps back to Germany for a little Bavarian R&R. 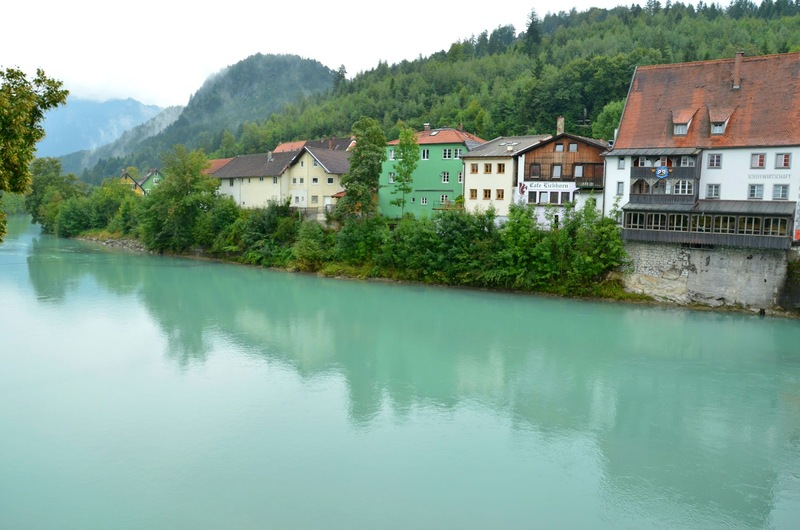 I have gobs and gobs of gorgeous photos from our short 18-hour stay in Liechtenstein (a diamond in the rough, that country! 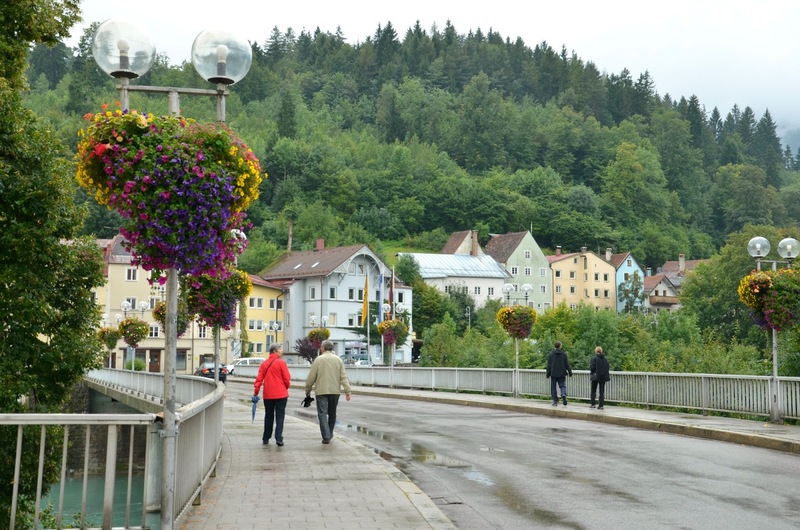 ), but I was feeling a little nostalgic for a Germany recap post, so I'm skipping Liechtenstein for now and sharing the last part of that weekend trip today. 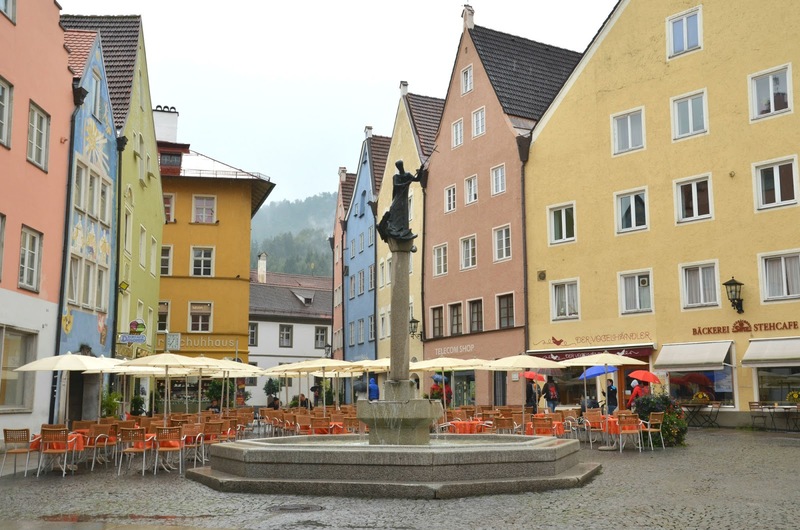 Füssen is a small Bavarian town just a hop, skip, and jump away from a very famous castle you all should be familiar with thanks to Walt Disney (say it with me NEU-SCHWAN-STEIN). 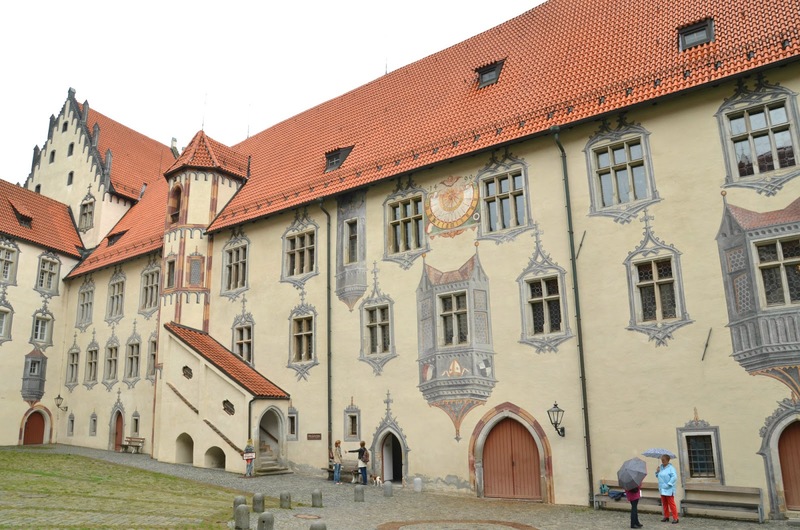 We had plans to visit this castle for a second time, hoping for better views this go-round, so we decided to stay near the castle and in the vicinity of a few more attractions to get the most vacation for our time and money. 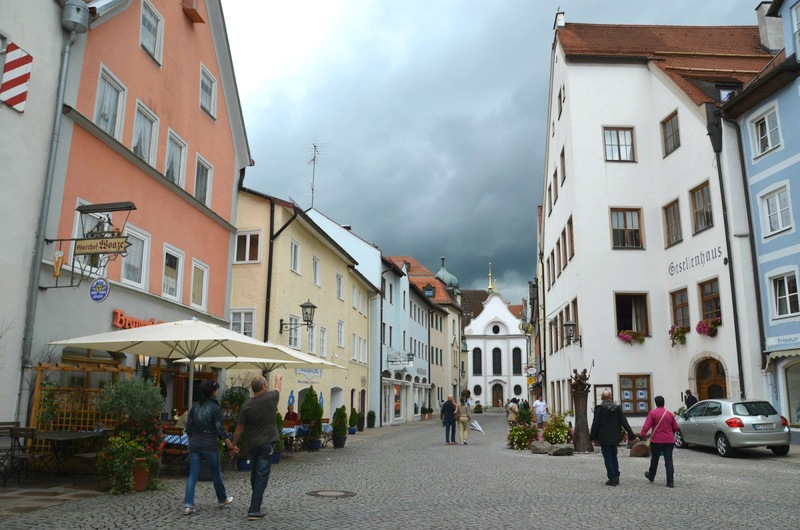 Füssen just happened to be one of those attractive towns worth exploring! 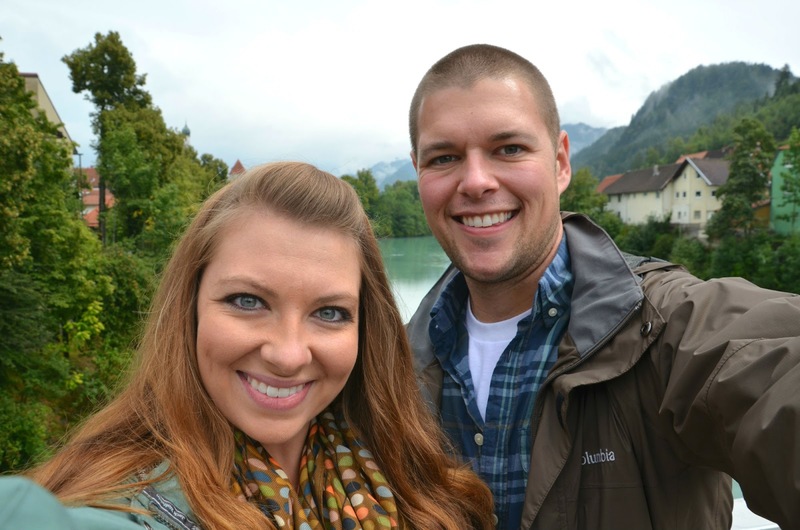 To explore more of our adventures in Germany, visit my WANDERLUST page! SO gorgeous. UGH! I'm so jealous of your travels! 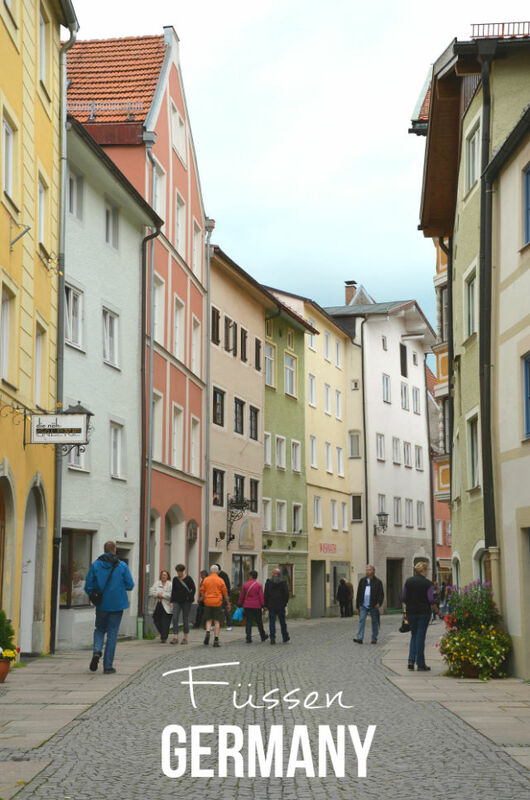 Everything looks so neat and tidy in Fussen! Are you missing Germany now? Wow! Absolutely beautiful. We're hoping to make it to Munich + Berlin next summer. 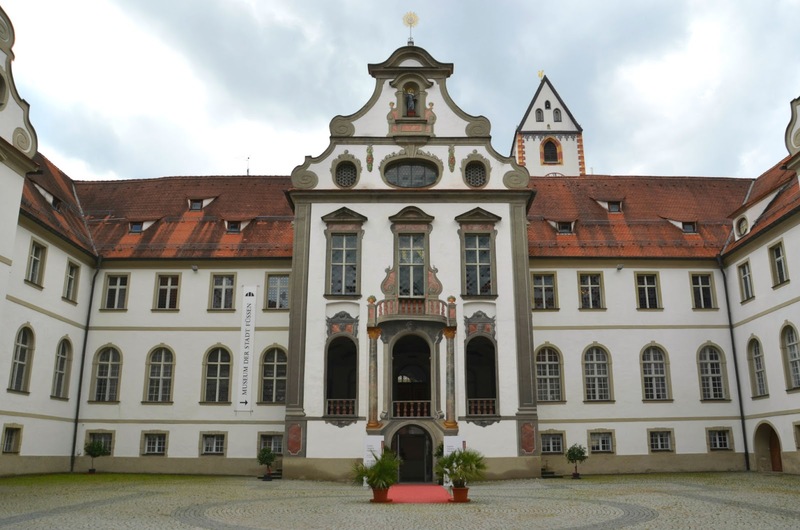 Germany just seems like a dream! Oh fun!! You guys will LOVE Munich. Bavaria is such a stunning place!! such a pretty town. The Neuschwanstein castle is on my bucket list. It seems like country is beautiful no matter where you are! I've been to Munich and LOVED it. 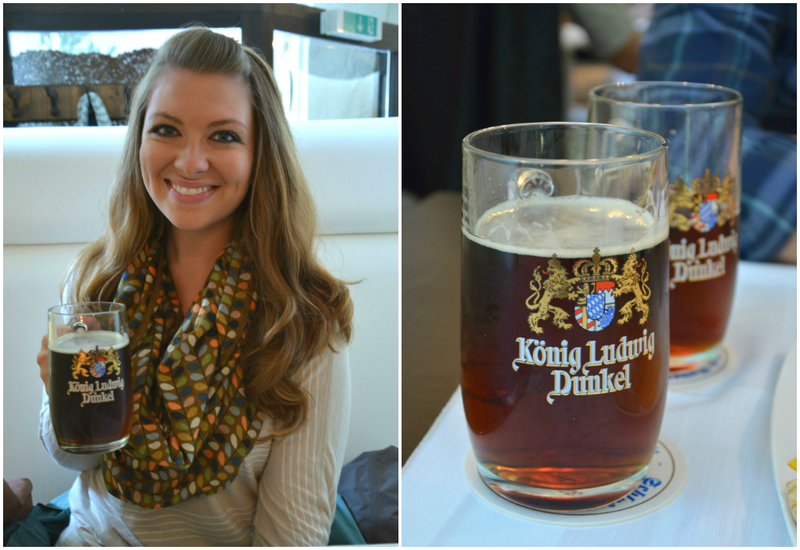 Hopefully we can spend more time in Germany one day! 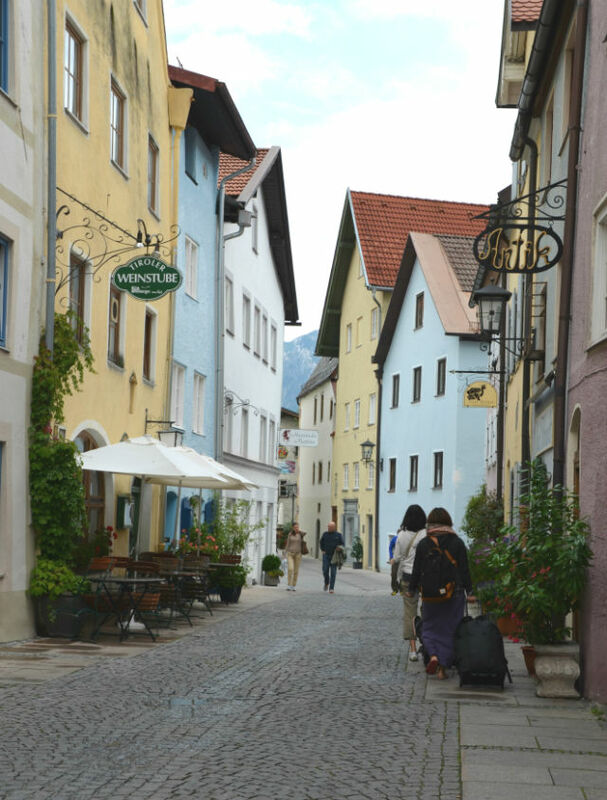 I adored Fussen! 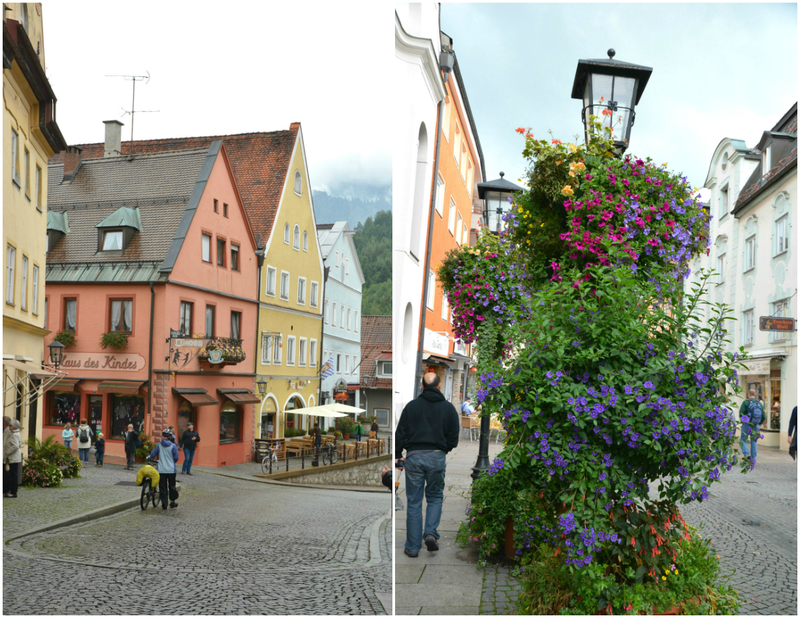 We flew into Munich and took a train up there to see the castle and it was so perfect and quaint (Fussen, that is). I loved all the colors - perfection. But it was incredibly warm that day and I was jet-lagged and going on being awake for around 24 hours so you can imagine how that was! Love your photos. xo! WOW! The multi-colored buildings are so gorgeous!! I miss that about Europe! Ok so one day when we get to have an awesome blate you are going to show me how you do your hair and then I will have great looking hair in all my pictures too! It is! 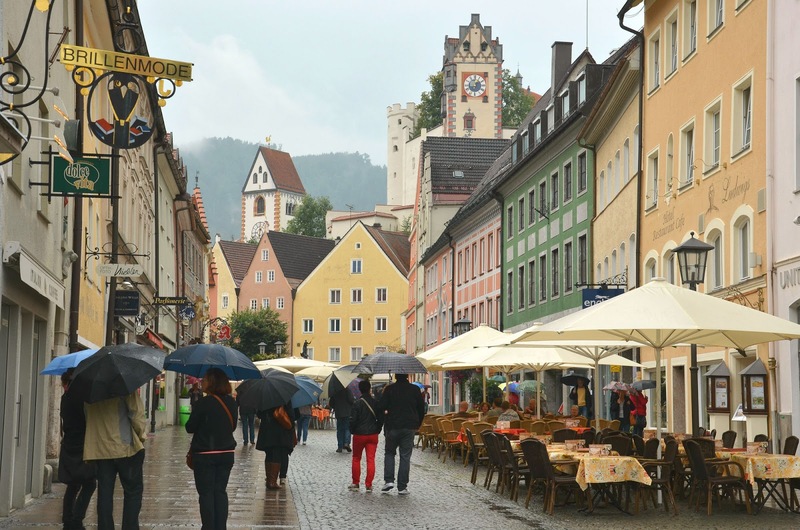 Bavaria (and quite a lot of other regions in Germany) is filled to the brim with picturesque towns and villages. You really can't go wrong traveling all over that country! I'm planning on going to the Neuschwanstein castle and Füssen this winter, and this post really makes me look forward to that trip! Though if it was that cold in August, I will have to brace myself for what it will be like in a few months! Such a lovely landscapes, thank you for sharing it with us. The Return of Fresh Face Friday!